According to Dainese, motorcycling has been an ‘intense passion’ since the inception of the premium protective clothing company way back in 1972. And, like so many companies these days, it wants to play on that long and illustrious heritage with its latest range of retro-inspired clothing – elegantly styled yet packed with the sort of technology that Dainese in now renowned for. Dainese72 comprises a capsule range of both men’s and women’s motorcycle jackets, leather trousers and accessories that all take inspiration from garments that featured in the brand’s early ranges. The brand says: “True to our Italian heritage, we pursue style, beauty and effortless elegance. Dainese Settantadue is our contemporary interpretation of the history of riding wear”. 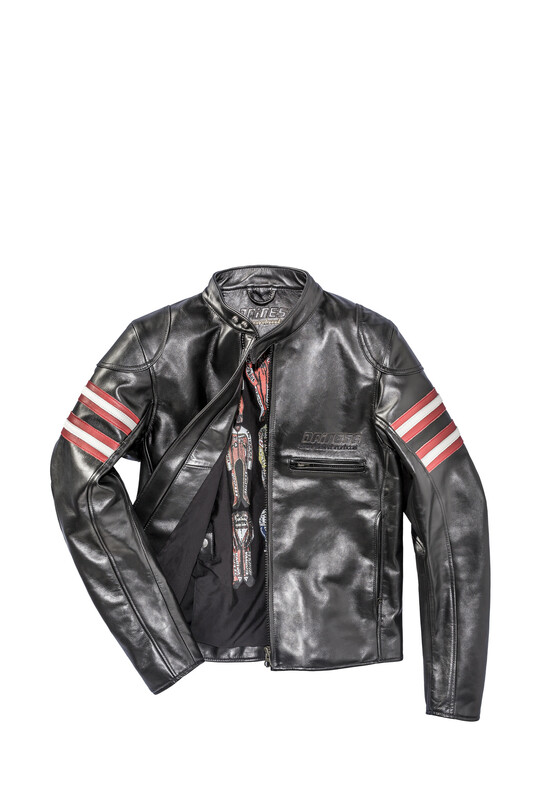 Take the Rapida72 (£499.95) jacket as an excellent example, which leans heavily on the two-piece leathers Dainese introduced in the 1970s to create a unique silhouette, simple graphics and a superb printed cotton lining. Ultra-soft Sol cowhide is used for the external leather and the brand’s Pro Armour features in the shoulders and elbows for maximum protection. 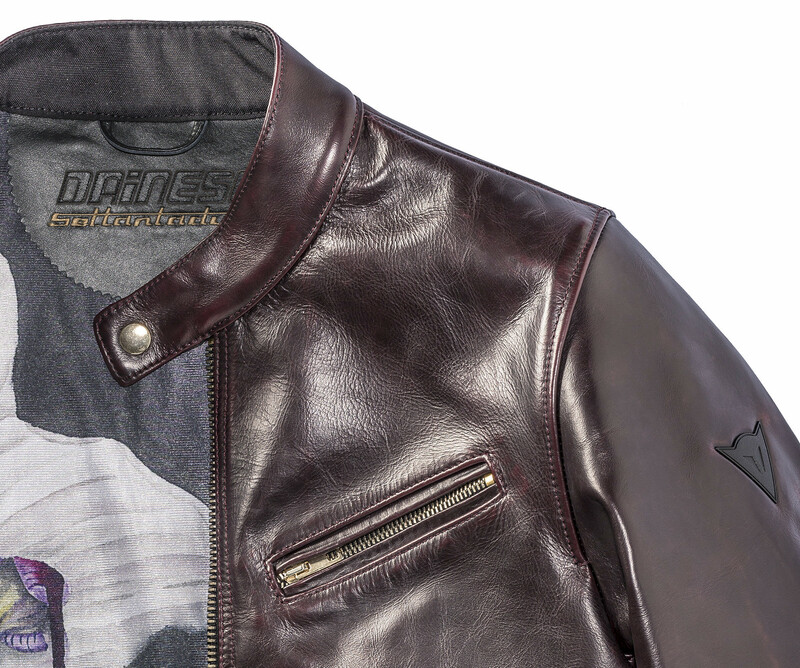 Dainese uses a special manual brushing technique, which results in a jacket with unique tonal variations and an exceptionally soft, warm feel. 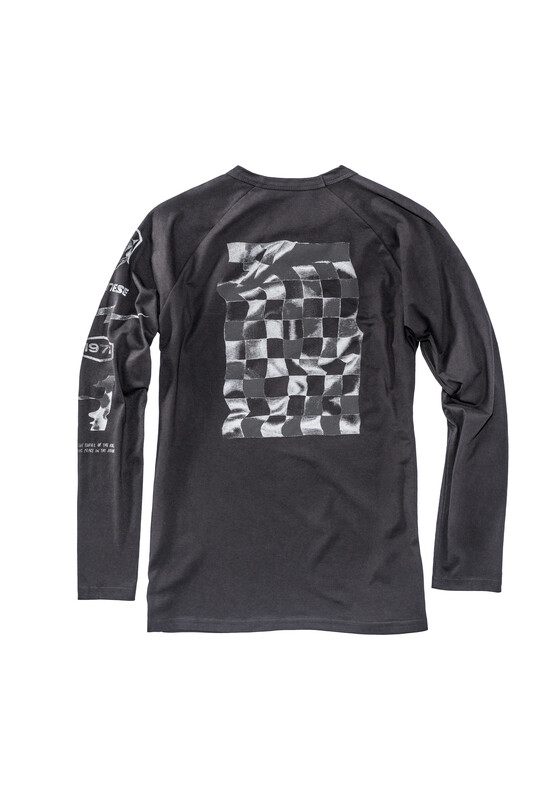 According to the Italian makers, the garment is further enhanced with a lining that is created and printed exclusively for Dainese72 by the New York artist Othelo Gervacio. It all equates to the fact that no two Patina72 jackets are alike. There’s also a neat range of T-shirts, belts and wallets that compliment the range, with the Thunder72 3/4 tee (£59.95) proving a particular Flat-Out favourite thanks to its Flat-Track styling and bold graphics. Tempted? Check out the full range at Dainese’s brand new microsite. Just make sure you’ve got a healthy bank balance.